PSD files (a format exportable exclusively from Adobe Photoshop) are unique in that they are able to retain multiple layers. This is advantageous as the image remains fully editable in terms of any colour correction, effects, masking, transparency, or compositing that were made to the PSD file in Adobe Photoshop. Note that your PSD image file must be set to RGB mode within Adobe Photoshop prior to being imported into Harmony. 1. Organize your Adobe Photoshop file so that all your layers are “grouped” into individual folders, or that all the elements you want to import as a single layer in Harmony are grouped together in their own folder. Any layer that is not in a folder group, by itself or otherwise, will not be imported. 2. In Harmony, go to the top menu and select File > Import > Images or click the Import Image button. 3. Click Browse to find and select the PSD image on your computer. 4. Select the Create Layer(s) option. 5. 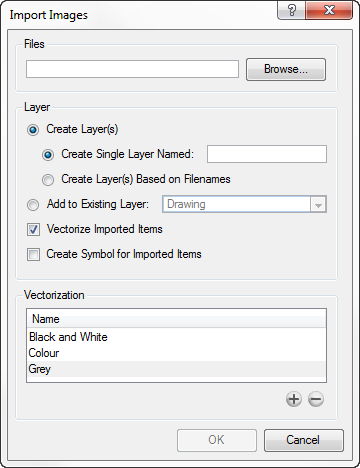 Select the Create Single Layer Named or Create Layer(s) Based on Filenames option. 6. Decide whether to select Vectorize Imported Items option. If you decide to use the Vectorize Imported Items option, see Importing and Vectorizing Images to learn more about vectorization settings. If you decide to disable the Vectorize Imported Items options, the Transparency and Alignment settings will appear in place of the Vectorization settings. 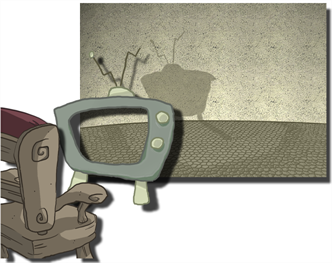 See Importing a Bitmap Image without Vectorization to learn more about these settings. 7. Decide whether to select the Create Symbol for Imported Items option. 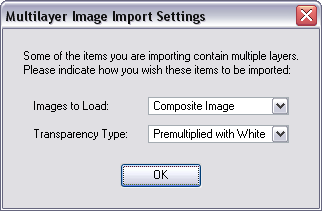 The Multilayer Image Import Settings dialog box opens. ‣ Composite Image to flatten your layers. 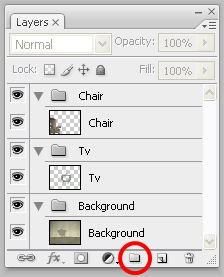 ‣ All Layers Image to keep your layers separated. 10. Select the Transparency Type if applicable. To learn more about the different Transparency Type options, see Importing PSD Files as Separate Layers . Your image should appear as separate layers in the Timeline view, corresponding to the PSD layer group folders. The artwork displayed in every one of your layers as a result of a multilayer PSD file import is linked to the same source image. This means that if you use the Drawing > Delete Selected Drawings command to physically delete the drawing from the project folder, the exposed drawing will be deleted in all layers at once. Once deleted from the project folder, the image cannot be retrieved unless you reimport your psd file.